Your External Door is a statement of your character. And the door to your home is as the eyes to your soul. It is the first impression visitors see of your house, it needs to be absolutely fabulous! Also, it needs to be safe and secure, able to withstand the weather, providing protection for your family. 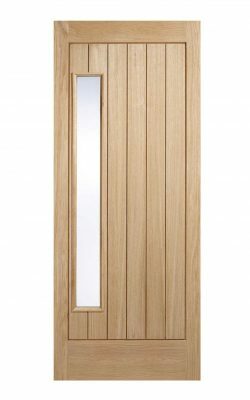 So, we have a beautiful range of both classic and contemporary external doors just for you! What Type of External Door? 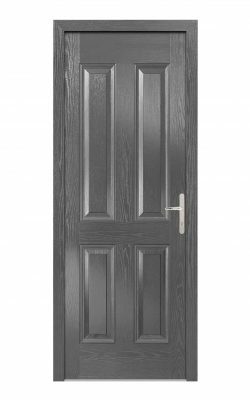 We have a wide range of different external doors for sale, with multiple options being available for each. Whether it’s a 3 panel, 2 panel or 1, we can supply your preferred choice. 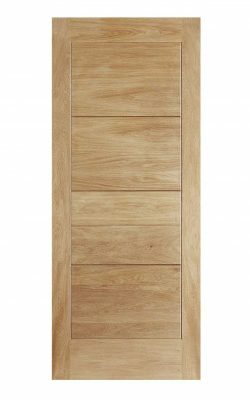 Our range comprises Oak, Hardwood, Contemporary and Period styles. Also, we have some glazed options, with double glazed units of course. 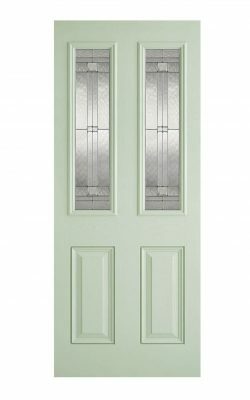 From stable doors to GRP door sets we have them all. Also beautifully crafted using the finest materials and modern engineered techniques. 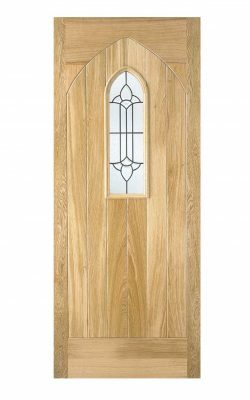 Our external Oak doors are a solid 44mm thick construction. They have an engineered core of solid block and particleboard. This is then overlaid with the finest quality oak veneers. There are part L options for increased heat insulation and a Part L glazed option also. Find the perfect new front door. Our hardwood models have an inside core made up of solid hardwood blocks, jointed with mortice and tenon or dowelled dependant on the model. Again, overlaid with A-grade hardwood veneers. 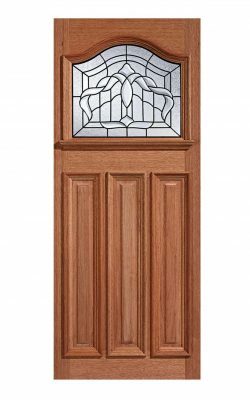 Glazed exterior door models allow extra light into darker hallways. 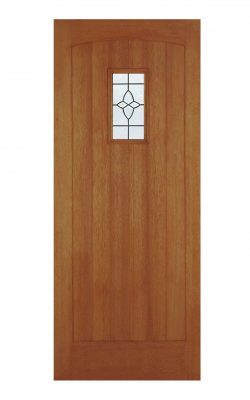 Against traditional single timber doors, engineered external doors have a number of great benefits. 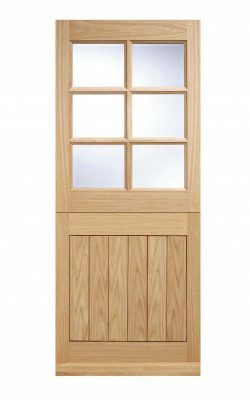 Traditional timber doors will often warp, move and expand and contract in the weather. External doors are particularly susceptible having one internal warm face and another external cold face. The jointed single members will pull away from each other. Engineered doors are made up of various constituent parts bound together under extreme heat. This ‘core’ is then covered in high grade veneer. In this way the components of the door hold together to form a solid body which resists movement, warping and expansion. Always employ a qualified joiner to install your new door. We recommend four hinges for external doors and good solid locking mechanisms. 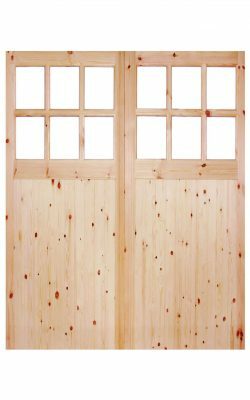 Also, a timber door should be hung in a sound fitting, hardwood, external grade frame. Your external door becomes immediately exposed to UV rays and the weather from the moment it is hung. All external doors need good quality weather proof paints or treatments to preserve them through the extremes of the British climate. Please see our help and advice section for further advice on this important element. Of course, if you choose a GRP door or complete GRP door set there’ll be no painting and next to no maintenance. Perhaps you can’t find the exact model you wanted? Or maybe you need a special size for a particular opening? We can help with all your queries. Please don’t hesitate to get in touch by phone, email or our handy contact form if you need further information or want to discuss special requirements.